It's been a while since I've posted any kind of kids projects so I wanted to do a little round up of what we've been up to around here. 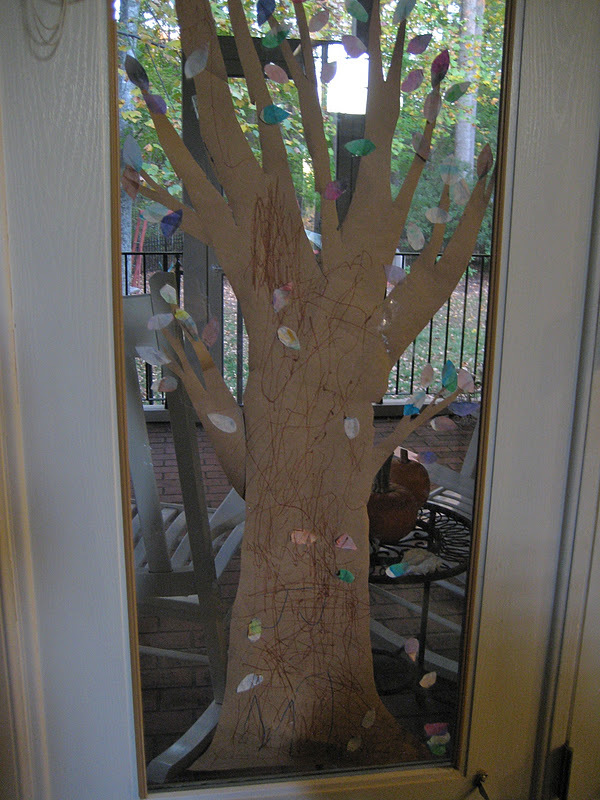 My ideas have been greatly enhanced by my Pinterest board Kids Art! 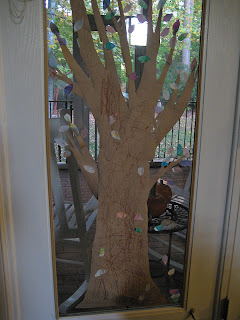 This tree with water color coffee filter leaves is from this pin. We also did ice art with rock salt and watercolors and cool nature suncatchers. Both of these are from The Artful Parent, which is my favorite place for children's art. We also tried ice cube painting. I can't remember where this idea came from, but I mixed tempera paints with water and froze them in an ice cube tray. It was a big hit for a playdate. I also have to show off a new purchase from Michael's. Sure cookie trays would have worked, but these can just be wiped off a little and not really cleaned. They really keep it contained for play-dough, paint those little melty beads that go on the peg-boards, etc. And I couldn't let this slip by without a chance to show you my own Pinterest inspired fall t-shirt! This is after a wash, so the raw edges are frayed now, but I am liking it. Blatant copy from here. What's next on the list to make? Cloud Dough, Shaving Cream Snowman & Watercolor Trees for the kids, and Travel Sewing Case, AMH Bag, and some kind of scrappy quilt! Wow...you've been busy. I just read through a couple of posts. I love your Across the Meadow quilt. I think your brother will acknowledge its a hand/love made gift from his sister and take great care of it. He will probably stash it away when his beer buddies come around...and good for him...one day he will show it with pride. Its Gorgeous!! I am not a blue girl but with your lovely solid sashing etc...its striking.